Millions of drivers navigate the roadways in Maryland daily, especially in the D. C. and Baltimore metropolitan areas. With an abundance of motorists on the roadways, at all levels of experience and in every type of traffic scenario conceivable, you can imagine that accidents will happen. Our office helps clients in Anne Arundel, Charles, Howard, Montgomery and Prince George’s Counties recover the compensation they deserve and not just what the insurance companies offer! We recently helped an older client who was hit curbside by a motor vehicle. Our client’s insurance excluded accidents for pedestrians hit by motor vehicles but we still recovered $140,000 in compensation as part of a settlement. We can help you too. If you are injured in a motor vehicle accident in Maryland, it is critical that you act timely, so call the Law Office of Robin Rucker Gaillard, LLC, at 301-363-2933, your Largo, Prince George’s County Maryland motor vehicle accident attorney for actionable legal advice and information applicable to your specific Maryland motor vehicle accident case. When Should You Seek Legal Help With Compensation? You should get legal help as soon as you are involved in an accident. You may not immediately experience pain or know that you have been injured so it’s critical that you seek medical attention immediately upon becoming aware of your injuries. You should also seek legal help in order to know your rights as a injured person as well as what time frame you have to seek compensation. When you have been injured in a motor vehicle accident you have to take steps to timely preserve certain claims and to preserve your right to make future claims. With few important exceptions, a lawsuit seeking relief for injuries in a motor vehicle accident generally has to be filed within three (3) years of the accident. In cases involving minors, a case may be filed within three (3) years, but accounting from the minor’s forthcoming 18th birthday. It is critical to be timely because any claim is typically barred once the person’s 21st birthday is reached. Sometimes a person injured in a motor vehicle accident has to make a claim against their insurance company for uninsured motorist or under-insured motorist benefits. Those claims have to be made within three (3) years as well but accounting from the time that they knew or should have known that they had a claim against their insurance company. In instances of hit-and-run accidents, when there is no insurance, a claim may be made against the Maryland Automobile Insurance Fund (MAIF). However, notice of the claim must be made within one hundred eighty (180) days after the accident or there may be no recovery. Other circumstances may apply to your particular case, so getting accurate legal advice is important. That’s why you should contact the Law Office of Robin Rucker Gaillard, LLC, to get legal advice and guidance on what to do from a Maryland motor vehicle accident lawyer located in Largo, Prince George’s County, Maryland, and serving the surrounding areas. Often, victims in a motor vehicle accident want to know how much their case is worth, or how much can they can get from being in an accident. It’s important to know that every case is different and that there is no magic formula for determining what a victim may recover as a result of an accident. By reducing what happened to you to just a formula, you are short changing yourself and may be setting yourself up for failure in the end. The better approach is to hire an attorney who won’t just treat your case like one of many in an assembly line but one who will carefully review the facts of your case and who will be willing to go to trial to fight for the compensation that you deserve. Many people may dismiss or fail to pursue a rear-end collision (one of the most frequently occurring types of collisions on our roadways) with little property damage; but don’t jump to conclusions before knowing all of the considerations. The top consideration should be whether there were injuries to individuals and if so, how are those people impacted. The value of your case depends on the attorney you choose to represent you, so contact Maryland motor vehicle accident attorney Robin Rucker Gaillard, Esq., for your free consultation and find out how the firm can help you. Insured motorists can elect to have a benefit known as Personal Injury Protection (“PIP”) as part of their motor vehicle insurance policy. In Maryland, there is no obligation for a motorist to have a PIP benefit as part of an insurance policy but the law requires that insurance providers offer all policy holders a PIP benefit of at least $2,500.00 (or more, but the premium payments will be higher, of course). Motorists with insurance policies can waive this benefit by executing a written waiver. PIP is intended to cover out-of-pocket losses from your accident, such as lost wages, medical bills, and other resulting expenses, regardless of who caused the accident. The thing to remember about PIP is that it is a “no fault” insurance benefit which an insurance policy provides to compensate the victim or the at-fault motor vehicle driver. But to get the PIP benefit you generally have to file a claim within one (1) year of the accident, and you can only get reimbursement for expenses incurred within three (3) years of the date of the accident. With car accidents, time goes by more quickly than you think, so it is critical to file your claims timely so that you can receive benefits under PIP. As a Maryland motor vehicle accident firm, the Law Office of Robin Rucker Gaillard, LLC, will assist clients with filing PIP claims at no charge. Determining from the outset of a case whether a driver (or a pedestrian) was responsible for a motor vehicle accident in any way is critical and that determination is not always as cut and dry as you may think. Maryland is one of a few remaining states that has contributory negligence as a defense against damages in a lawsuit for a motor vehicle accident. Generally in Maryland, if a victim is responsible for any aspect of the motor vehicle accident then that person is deemed to be contributorily negligent. Contributory negligence usually bars a person from recovering anything or from receiving relief in a lawsuit for damages. The interplay of contributory negligence and other legal concepts concerning Maryland motor vehicle accidents is important. Contact Maryland motor vehicle accident lawyer Robin Rucker Gaillard, Esq., for a free consultation so that you can get information on how the facts of your case impact on your right to be compensated. The amount of relief requested in a motor vehicle accident case may determine in which court a motor vehicle accident case is filed: in district court, circuit court, or even in federal district court. A case where the amount at issue is $30,000 or less may be filed in the district court while cases where the amount at issue is more than $30,000.00 must be filed in the circuit court. There are benefits and drawbacks to filing a case in either court, including the time it takes to get to trial; the amount of time allotted to put on your case once you get to trial; access to witnesses and documents; the need for certain experts (and the accompanying expense); and options for appeal. For example, cases filed in the district court typically go to trial in half the time (about six months) that it takes for a case to get to trial in the circuit court (about one year). Additionally, district court cases can typically be heard in a single day, including the judge rendering a decision and judgment. In the circuit court, however, trials can be multiple days long and any judgment may not be forthcoming immediately. While your motor vehicle accident case may get to trial more quickly in district court, an attorney’s ability to find out important facts and to get hold of important documents and witnesses prior to trial is extremely limited. In circuit court, however, there are significantly more opportunities to request important facts from witnesses and experts, and to receive and review critical documents prior to trial. Many cases turn on critical facts so in cases where being able to ascertain critical facts is central to optimizing the result, filing in circuit court may be preferable. In conducting your case in district court, the judge hears all testimony, reviews all documents admitted into evidence, and makes a decision alone, based on the case put on by the parties. Cases tried in circuit court will likely be before a jury (although a plaintiff may elect a bench trial, where there is no jury) whereas in the district court there is no opportunity for a trial by jury and the judge makes all of the decisions. Generally, in a circuit court case, a jury will hear all testimony, review all documents admitted into evidence, and make a decision in the form of rendering judgment. In district court cases, the rules of evidence tend to be more relaxed and the rules concerning getting documents admitted are less stringent compared to the circuit court. For example, in the district court, you don’t need expert testimony to have medical bills and records admitted so that the judge may consider them; the motor vehicle accident victim can typically testify to them. But in circuit court cases where more than $30,000 is at issue expert testimony is needed for medical bills and records to be admitted. If you receive an unfavorable verdict in a district court case, you can appeal the matter to the circuit court, the first appeal of right from a district court verdict. If you get an unfavorable ruling in your circuit court ruling, then you must note the appeal to the appellate court-- a far more costly prospect--and it could take several more months to be scheduled for oral arguments. It is critical not to undervalue your case simply because your attorney does not want to try the case in circuit court before a jury or refuses to wait the requisite time for a circuit court case to unfold. 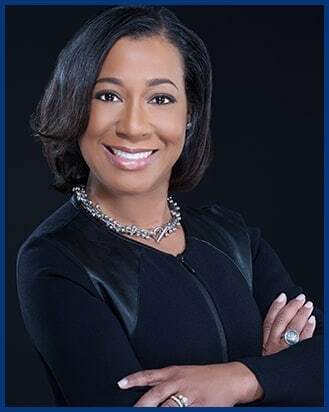 As a Maryland motor vehicle accident attorney in Largo, Prince George’s County, Robin Rucker Gaillard, Esq., can assist you with where to file your case in Maryland and can effectively advocate on your behalf for the best result. Call 301-363-2933 today for your free consultation!